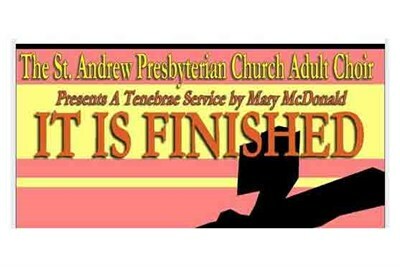 “It Is Finished” is a unique, powerful and compelling Tenebrae service directed by Jeffrey Clise. Also notable music ensembles: St. Andrew Handbell Choir; Washington County Museum Consort; and Toot Uncommon Flute Ensemble. A reception follows.